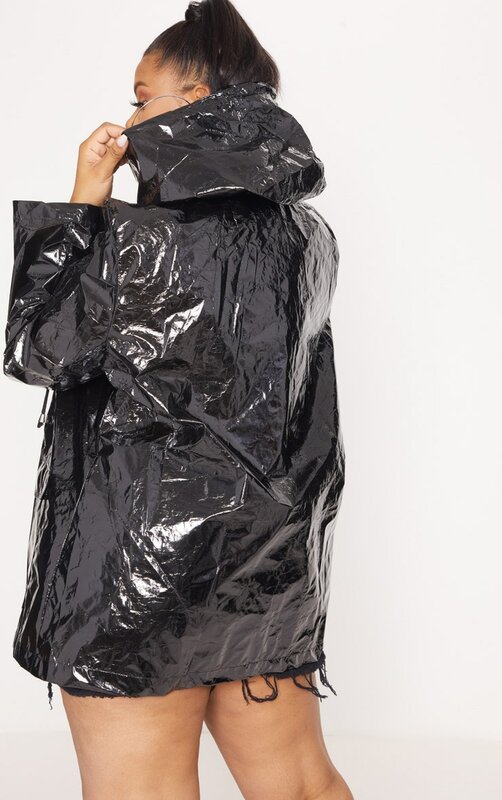 Get ready for the festival season with this mac. 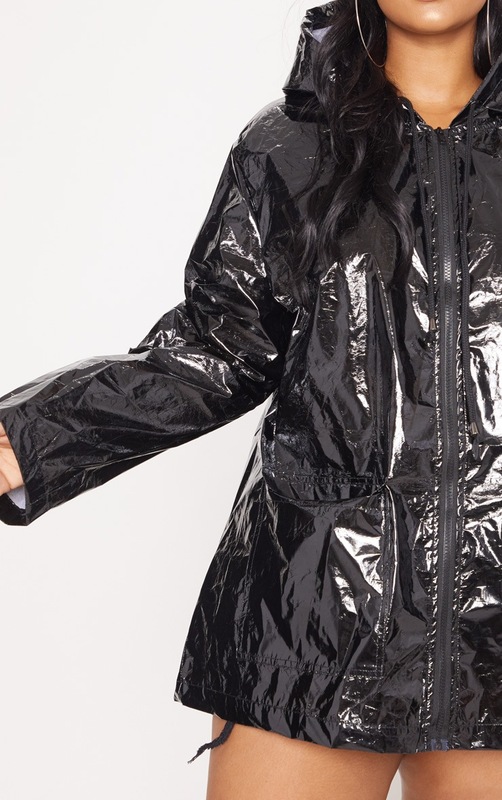 Featuring a black holographic material with a hood and a zip fastening. 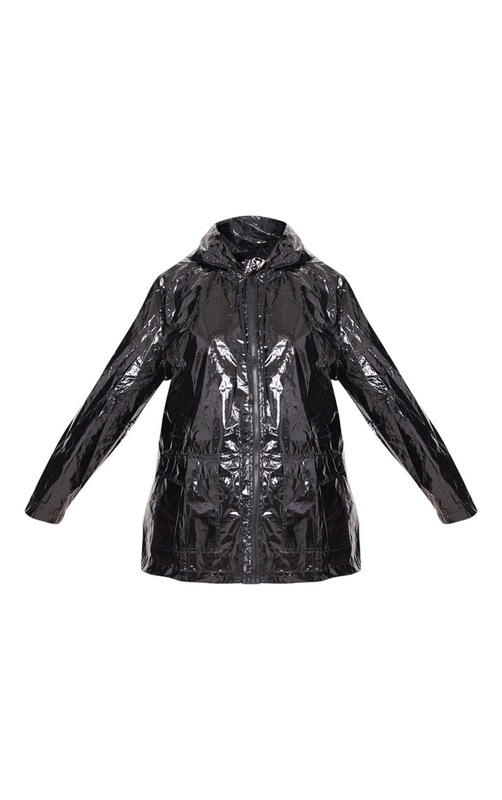 Style this rain mac over any festival ready outfit for a look we are loving.